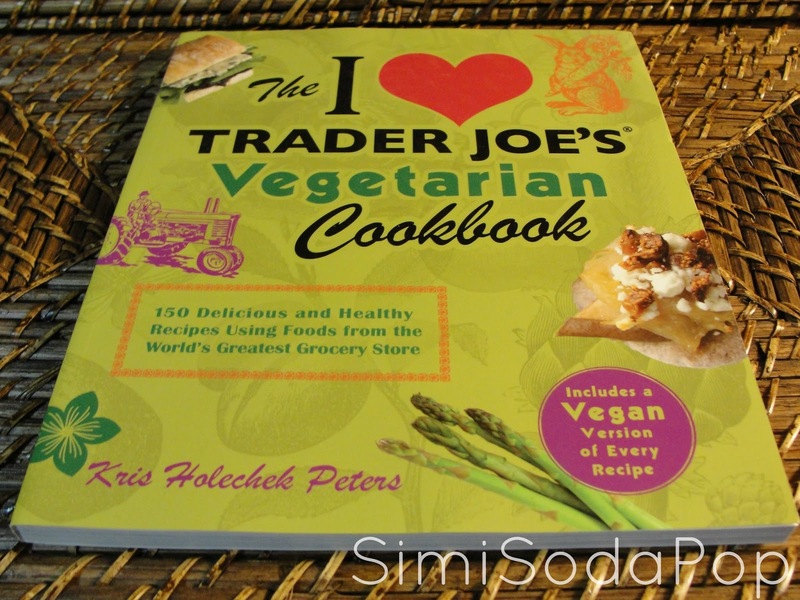 Good afternoon and welcome to Books With Simi.. today's review will be on the book released September 2012, titled "The I Heart Trader Joes Vegetarian Cookbook" By Kris Holechek Peters. Great-tasting vegetarian food shouldn’t mean ending tracking down of specialty ingredients or spending an entire paycheck. With this book and a quick stop at the neighborhood Trader Joe’s store, chefs of any ability can learn how to make delectable, animal-free meals for every occasion. Trader Joe’s is treasured by cooks across America for their healthy, affordable ingredients, including hard-to-find vegetarian staples. From dainty tempeh fritters, tangy guacamole, and sweet soymilk smoothies to rich vegetable curries, hearty eggplant burgers, and fragrant pine nut pesto lasagna, the recipes in this collection will be sure to please. 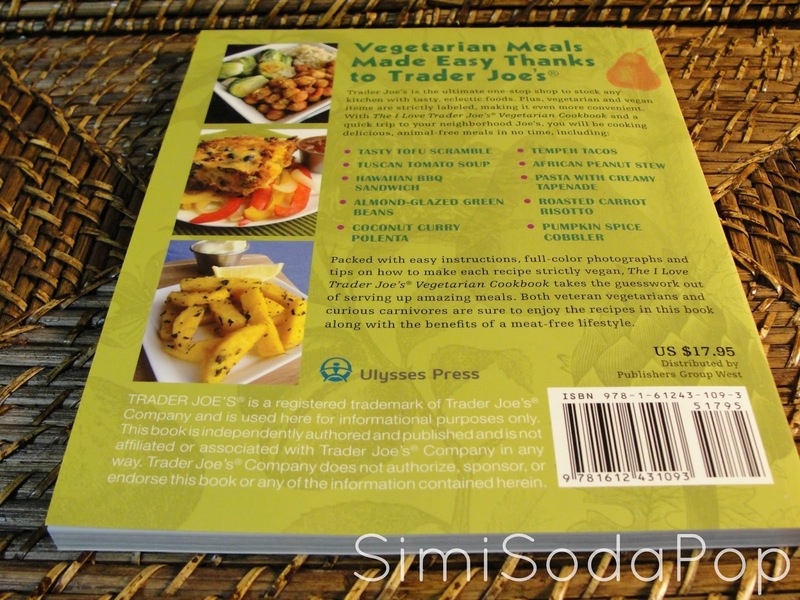 The I Love Trader Joe’s Vegetarian Cookbook takes the guesswork out of vegetarian cooking with easy, step-by-step instructions, full-color photographs, and helpful cooking tips. 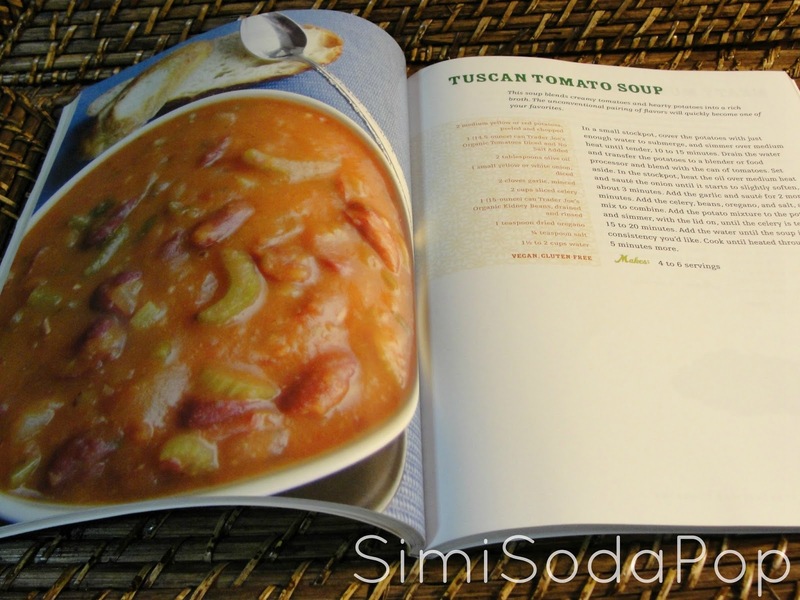 It also provides handy notes on how to make each recipe strictly vegan. With this book, both veteran vegetarians and curious carnivores are sure to enjoy the recipes and benefits of a meat-free lifestyle. TRADER JOE’S® is a registered trademark of Trader Joe’s® Company and is used here for informational purposes only. This book is independently authored and published and is not affiliated or associated with Trader Joe’s® Company in any way. 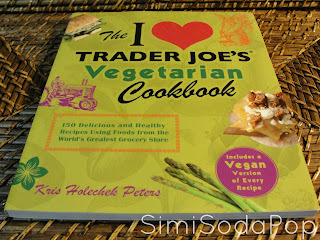 Trader Joe’s® Company does not authorize, sponsor, or endorse this book or any of the information contained herein. 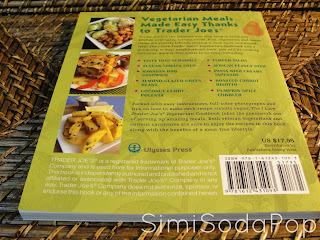 Trader Joes is a very popular grocery store and loved for it's unique finds and this book is great as it uses items from their store! I love the Vegan versions for every recipes. My favorite recipe from it is "Tuscan Tomato Soup".